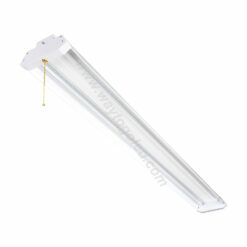 150W UFO High Bay Light ECNHB150UFO. Directional beam illumination. 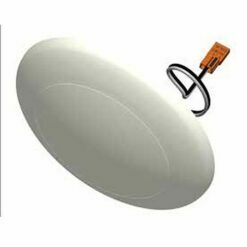 UFO High Bay Light ECNHB150UFO is a disk shape light with high lumen output intended for installation in elevated locations typically ranging from 20 to 45 feet. Common property types include commercial, industrial and retail facilities. 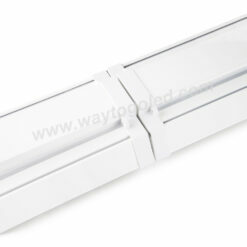 Most notably, warehouses, manufacturing plants, sporting venues and big-box stores. 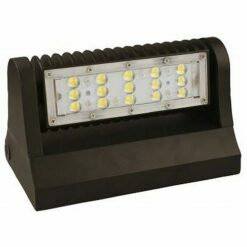 In general, UFO high bay lights frequently replace alternative lighting including: metal halide high intensity discharge lamps (HID), high pressure sodium (HID) lamps, high output linear fluorescent T5 lamps and electrode-less induction fluorescent lamps. 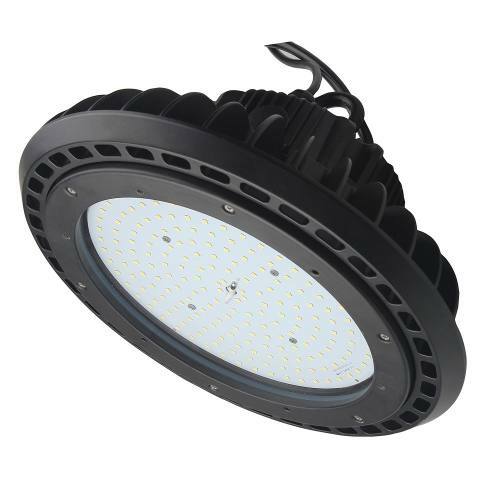 Comparatively, the high efficiency long-life LEDs deliver superior energy and maintenance cost savings relative to traditional high bay lamps. 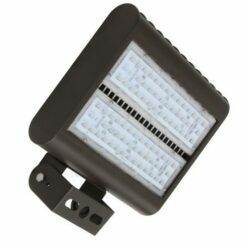 UFO High Bay Light ECNHB150UFO comes with a L70 rating of 81,000 hours, which qualifies for utility company rebates where offered. 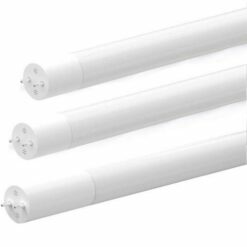 Additionally, standard 0-10 vDC dimming allows modification of room lighting intensities, which improve occupant comfort and productivity. 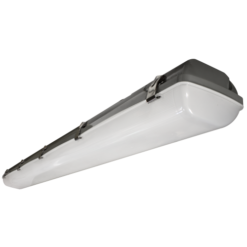 Optional Merrytek occupancy sensor (IP65 rated) and junction box assembly provide a factory-ready, fully-wired luminaire control package. Offered in 4000K or 5000K CCT, ECNHB150UFO also complies with RoHS (Restriction on Hazardous Substances) requirements, FCC Part 15, Class B and EN61000-4-5, surge immunity protection (4kV). 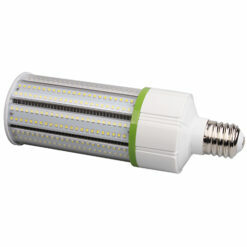 LED UFO UFO High Bay ECNHB240UFO is backed by a 5-year warranty of all electronics and housing.